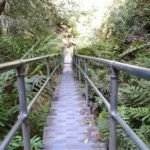 Best Blue Mountains bushwalks. Maps, pictures, and descriptions. 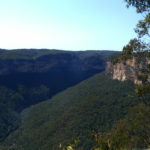 Bushwalks in the Blue Mountains National Park. 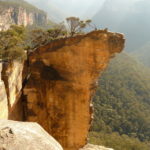 The Blue Mountains region offers numerous bushwalks, mountain bike trail, lookouts, waterfalls and scenic drives. 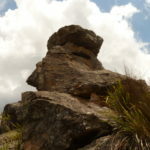 Walking tracks with lookouts, canyons, streams and waterfalls are scattered all over the region. 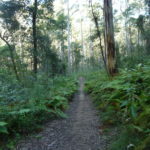 Below are some of trailmaze’s recommendations for the best bushwalks in the Blue Mountains. Distance: 5km, also shorter walks. Map of the best Blue Mountain Bushwalks. 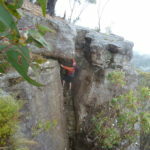 The map below contain some of the best bushwalks in the Blue Mountains region. 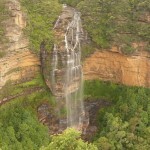 Wentworth Falls waterfall, Blue Mountains. 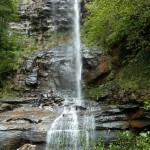 Wentworth Falls offers numerous walking tracks ranging from easy to difficult, 1km to 10km. Distance: Various walks. Distance ranges from 700m to 10km circuit. Where: Trail head, end of Falls Rd, Wentworth Falls, Blue Mountains. Difficult: Short walks are easy. The larger walks are graded hard. Inspiration Point, Blue Mountains. This site has directions, maps. Where: Blue mountains, near Fairmont Resort. Where: Echo Point lookout, Blue Mountains. Grand Canyon Walking Track, Blue Mountains. Where: Evans Lookout, Blue Mountains. 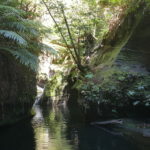 Blue Mountains, bushwalks, bush walks, hikes, trek, hiking, top 10 bushwalks Blue Mountains, Trails, tracks, blue mountain bushwalks, best blue mountains bushwalks, trails, tracks.